By adding any of these other products to your quote, you’ll optimize your investment because we use the same plates. 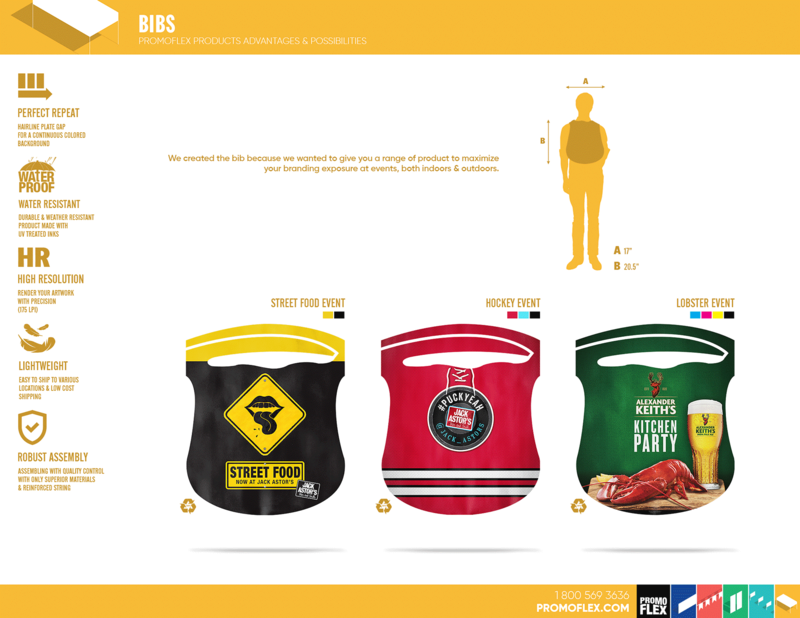 We created the bib because we wanted to give you a range of product to maximize your branding exposure at events, both indoors & outdoors. 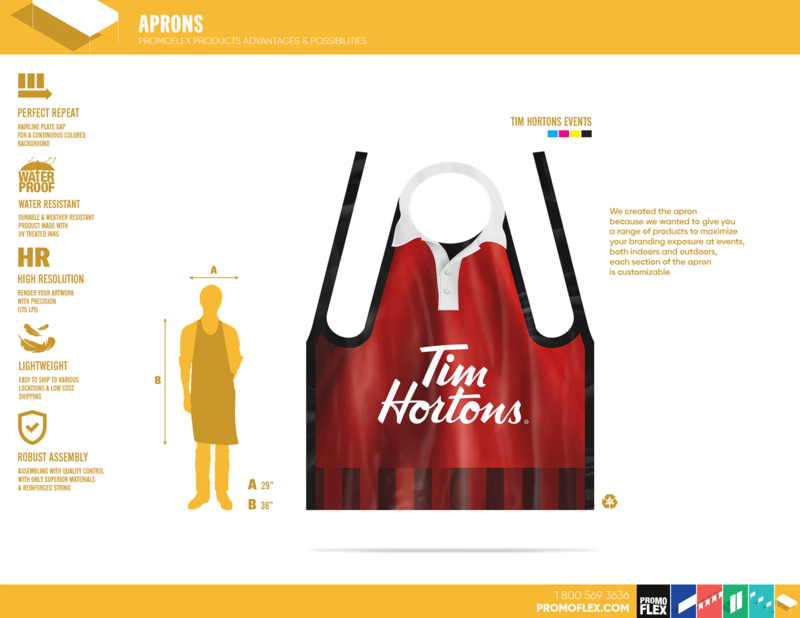 Each section of the apron is customizable. Made to give you a range of products to maximize your branding exposure at events, both indoors & outdoors. 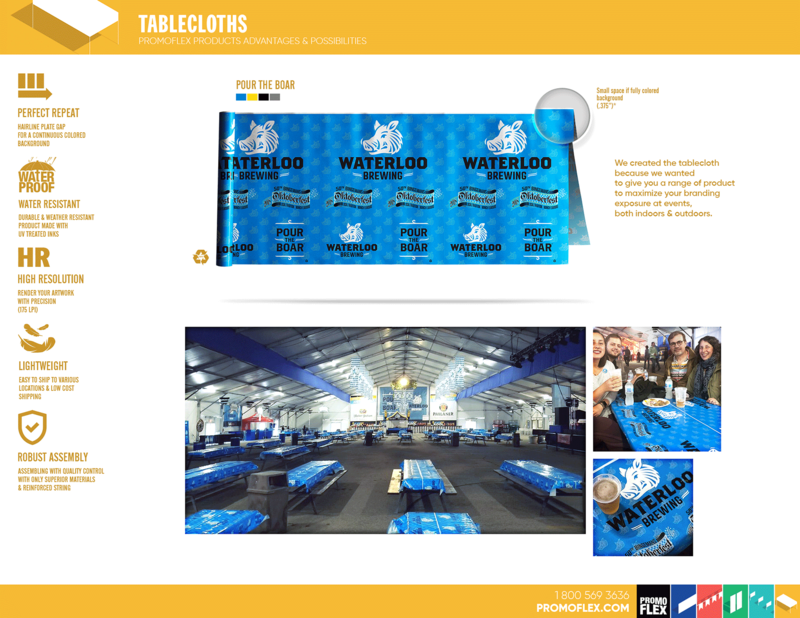 We created the tablecloth because we wanted to give you a range of product to maximize your branding exposure at events, indoors and outdoors. When it comes to other products, our team is ready to help you design a product that exceeds your expectation and imagination. 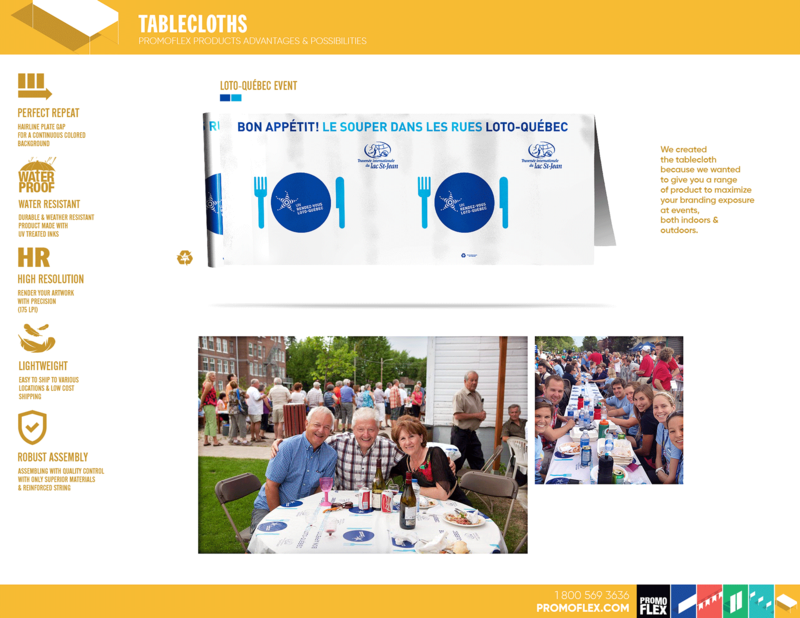 We offer multiple items (Tablecloths, Aprons and Bibs) for specific events or promotions needs. 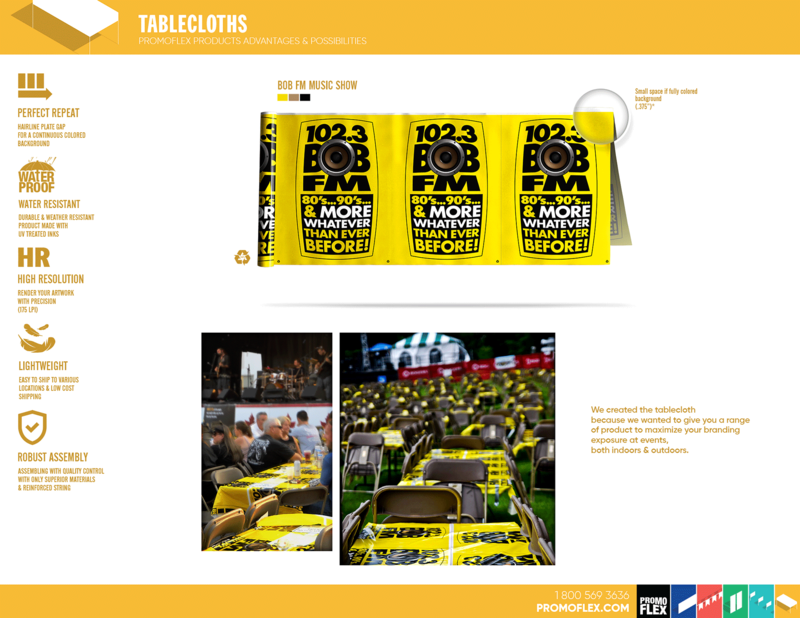 We want to create products that maximize a client’s branding exposure at events, both indoors or outdoors. 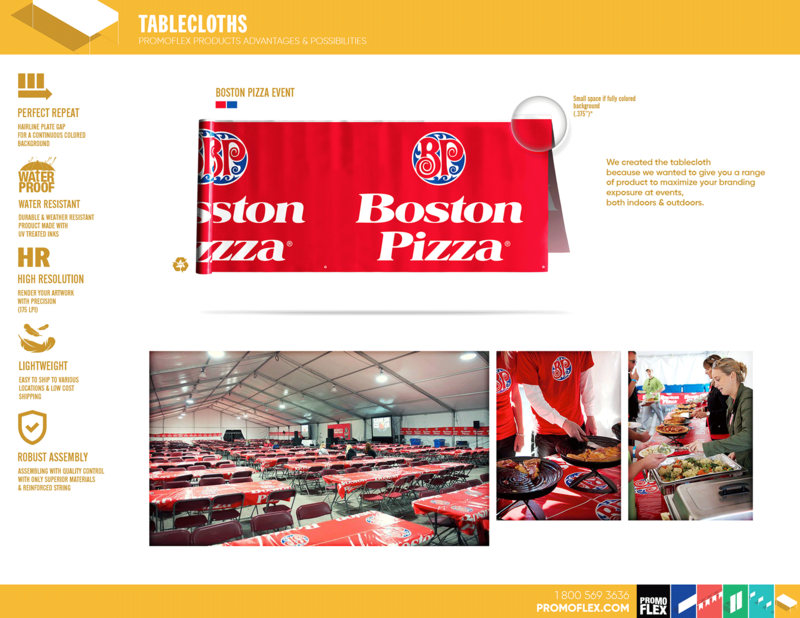 The Tablecloths, Aprons and Bibs are available with all our choice of materials. The items in this section are the only Promoflex products with predefined sizes. The Tablecloth is 25 inches high and 50 inches high when opened. The Apron is 36 inches high by 29 inches. The Bib is 20.5 inches high by 17 inches. 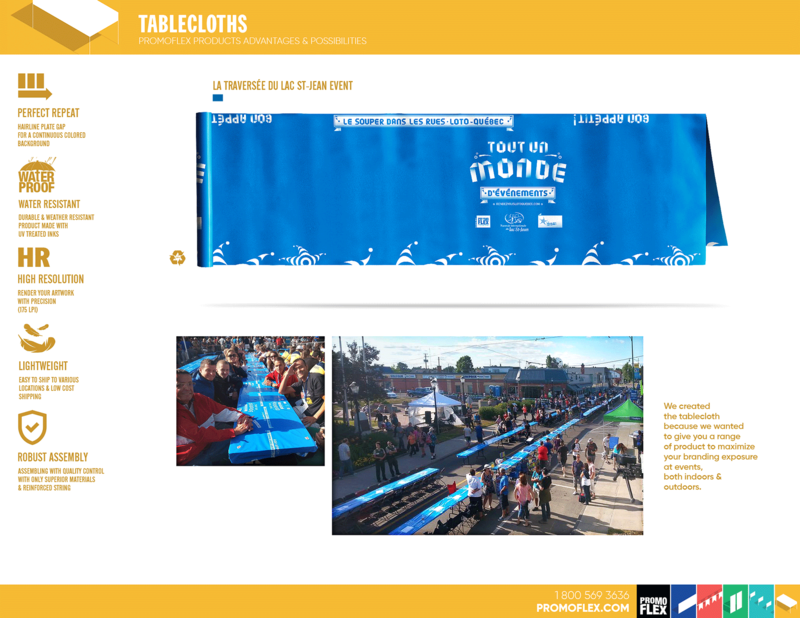 The Tablecloth is the perfect plastic for covering the top of the tables, especially during an event meal or tasting session. 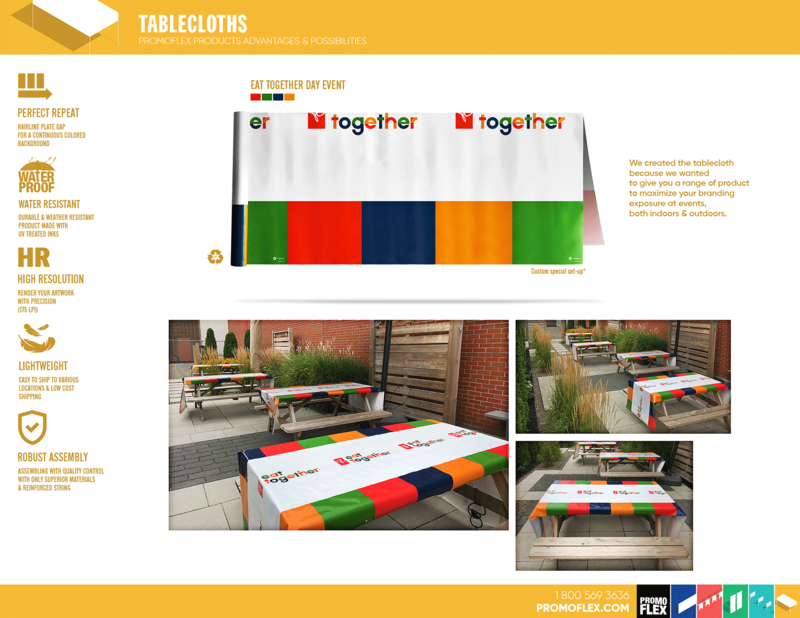 The Tablecloth is printed on both sides and made entirely from recycled material. All the surface of the product is customizable with no color limitation. 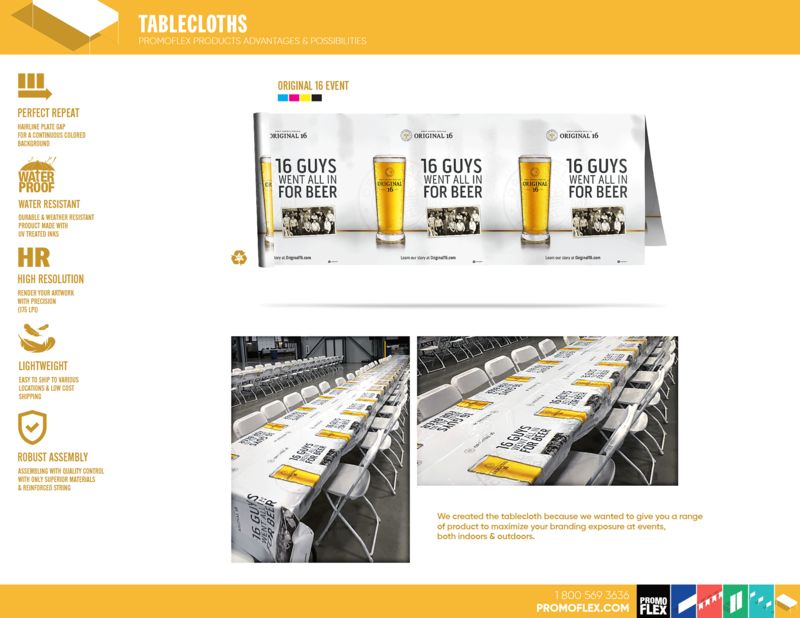 The advantage of the Tablecloth is the possibility to group with Roll Banners order — and by using the same visual (plates) of these products — this will optimize your investment. 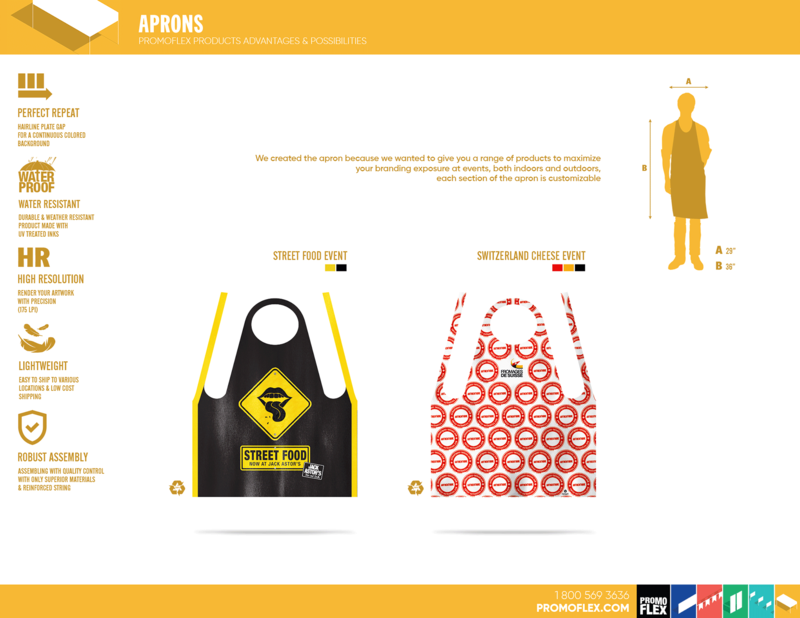 The Apron protects the wearer’s clothing and promotes a specific message or logo, which is entirely customizable. Each section can be personalized: the front, the neck and the waist —without any color limitation and invisible borders. 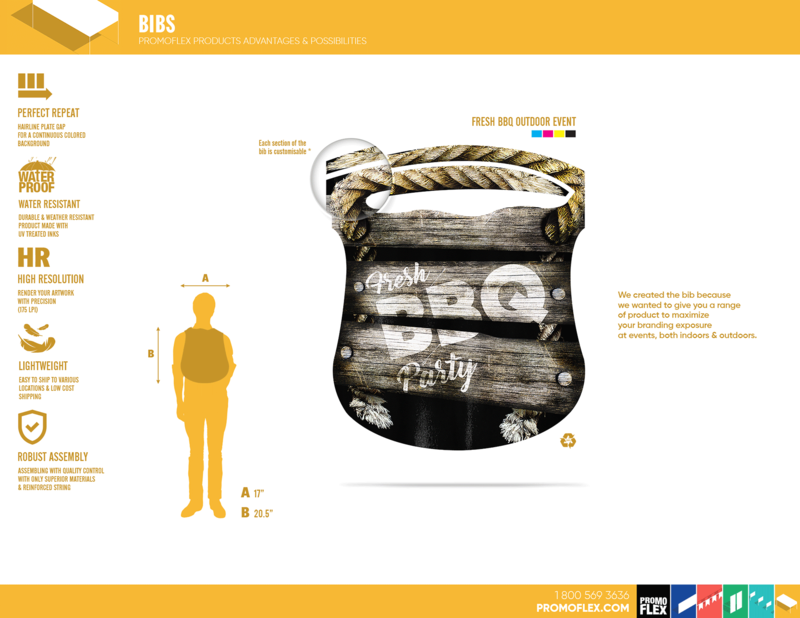 The Bib is also entirely customizable, without limits of colors or textures.